A quick and easy way to test your water. Just swirl an Insta-Test® strip three times in your spa water and get a reading of your free chlorine or bromine instantly. 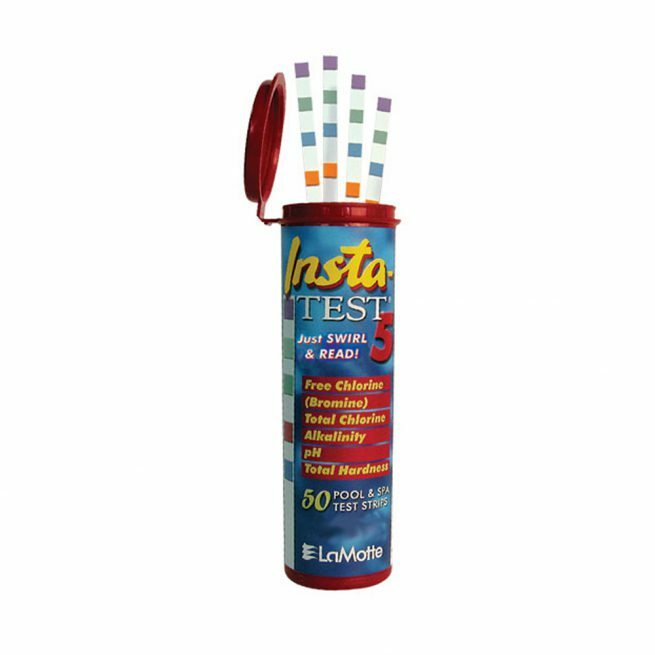 Neat and easy to use test strips offer a quick and reliable way to obtain accurate water balance results for your spa.